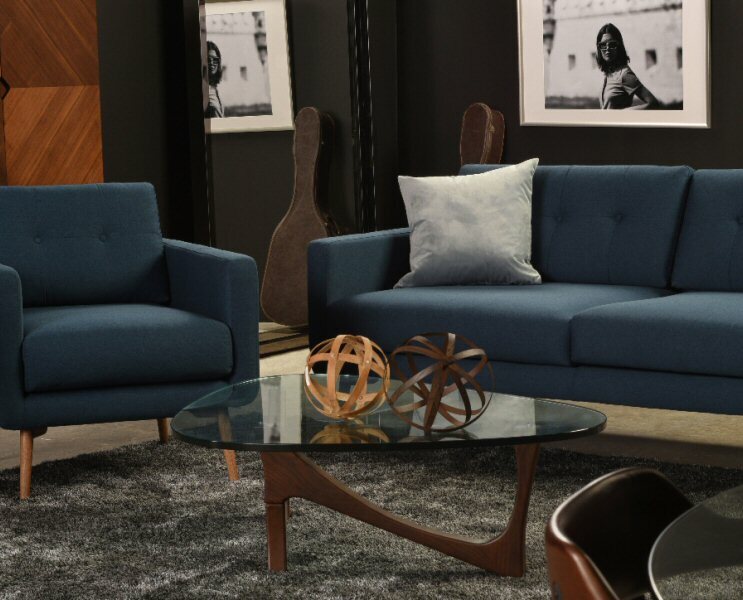 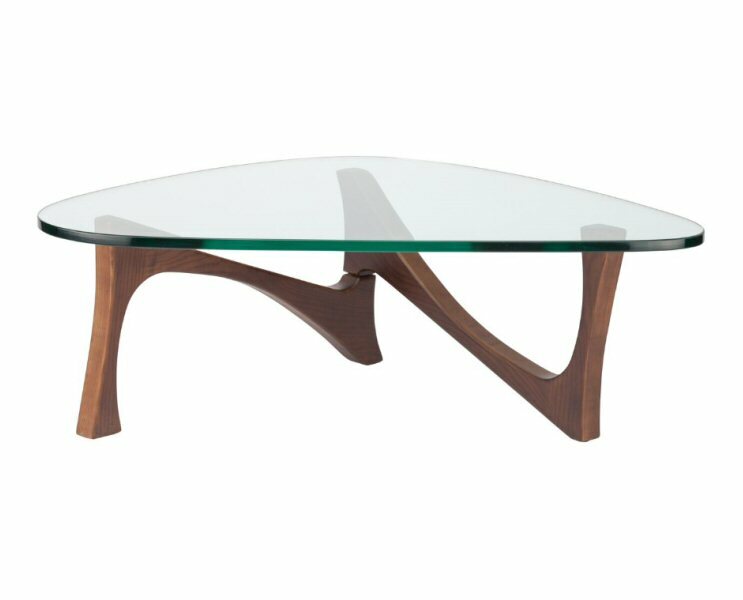 Nuevo Living Akiro coffee table is inspired by contemporary Japanese design with simple materials artfully arranged. 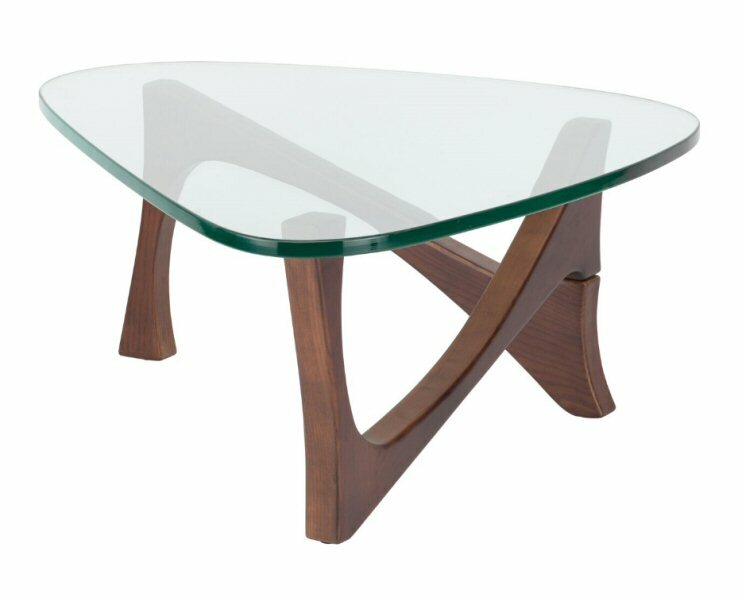 Solid ash legs finished in walnut stain highlight a distinctive, abstract sculpted frame. 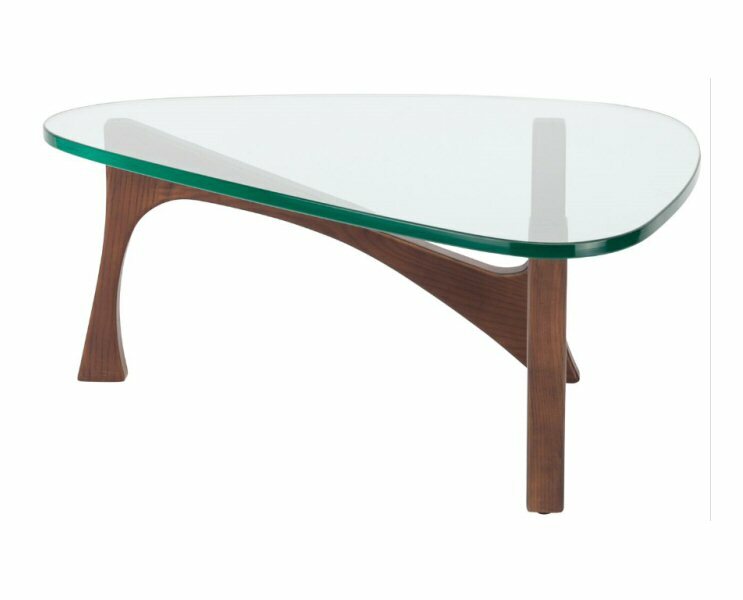 A rounded triangle glass table top compliments the fluid dynamic. 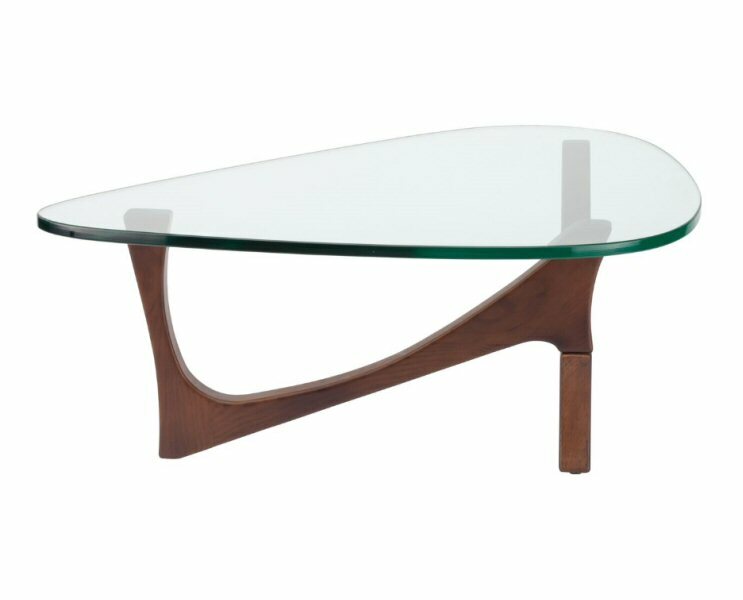 49.3" x 35.5" x 14.5"